Could it get any worse? Apparently, yes. It’s like watching an aged relative die a slow and painful death. The time has come for Labor backbenchers to put this government out of its misery, show that they still have some principles, and withdraw support. THE government has flatlined, personal support for Julia Gillard has plunged and Tony Abbott is by far the nation’s favoured leader, according to the first comprehensive national poll taken since the release of the carbon price policy. After a week of fevered campaigning by both leaders, the Herald/Nielsen poll shows Labor’s primary vote has hit a new record low of 26 per cent while Mr Abbott has opened up an 11-percentage point lead on Ms Gillard as the preferred prime minister. Previous low levels of support for the policy have not changed, with 39 per cent backing the package and 52 per cent opposing it. 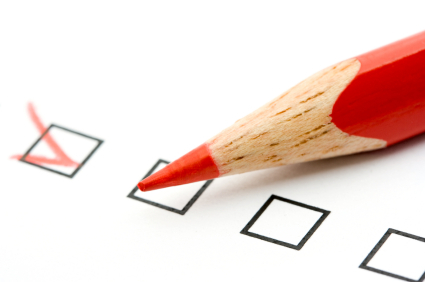 More than half – 56 per cent – want a fresh election. The telephone poll of 1400 voters, taken from Thursday night to Saturday evening, shows Labor’s primary vote fell 1 point to 26 per cent since the last poll a month ago. 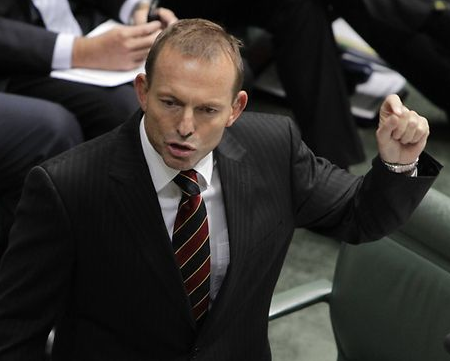 The Coalition’s primary vote rose 2 points to 51 per cent, and the Greens fell 1 point to 11 per cent. On a two-party-preferred basis, the Coalition leads by a thumping 61 per cent to 39 per cent, a 4-point rise in its lead in a month and an 11-point swing towards the opposition since the federal election in August. While Labor’s vote stayed depressed, Ms Gillard’s personal rating plunged further and, for the first time, Mr Abbott is the preferred prime minister. The sullen rejection of the tax by ordinary voters, fed by the Opposition Leader’s furious onslaught and enabled by the government’s strategic blunder in announcing the tax without details, then leaving a political vacuum for months for the Coalition to fill, appears instead to have simply become embedded. 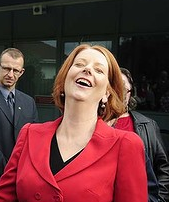 Gillard’s window of opportunity to dismantle Abbott’s campaign is fast closing, if it hasn’t already. In a 24/7 media cycle attention has already begin to wane. By Saturday the carbon tax had been pushed off or down page one of the broadsheets. The tabloids had abandoned it. What dominated was Westpac’s prediction the next official interest rate move could be a cut. It’s now hard to see how Gillard re-engages on the issue, how she gets the interest back of voters who have already emphatically rejected the tax. Ironically the interest rate story is probably a clue to her problems. In light of the threatened GFC aftershock in Europe and the US, which has helped drive a collapse in consumer confidence here, it’s hard to escape the conclusion that what the electorate wants is a government that will get our two-speed economy back on track. Instead Gillard’s solution is to load them up with a new tax. One of the most important push factors behind this sentiment, surely, is the fact that even with this carbon tax Australia’s overall emissions won’t be reduced. And that’s not even to go to the argument that our paltry contribution to cutting greenhouse gasses will still be overwhelmed by the unrestrained belching of the major emitters, the US, China and India. AUSTRALIANS have given the carbon tax the thumbs down, with 68 per cent saying it will leave them worse off and 63 per cent calling for Julia Gillard to bring on an early election. The exclusive Galaxy Poll for the Herald Sun – the first major survey since the release of the carbon tax package on Sunday – also found 60 per cent of voters opposed the tax, 29 per cent were in favour and 11 per cent undecided. Voters have not accepted Ms Gillard’s promise that more than six out of 10 households would be fully compensated or better off after compensation for the rise in the cost of living. Only 10 per cent of voters said they would be better off and only 28 per cent believe Ms Gillard has a mandate to introduce the tax without holding another election. The poll reveals 62 per cent of people think the Greens, who negotiated the package with Labor and the independents, have too much influence over the Government, while 30 per cent say the Greens are working effectively. 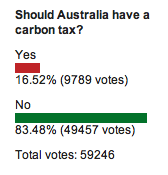 What do the other 19% think the carbon tax will do, I wonder? 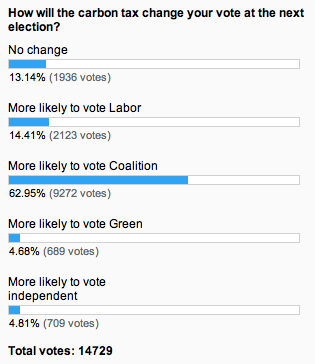 And another online poll shows much the same (see image). Labor are heading for a massive hiding at the next election, all because Gillard was so desperate to stay in power that she sold her soul and that of the party to the environmental extremists. The (Green) chickens are coming home to roost. LABOR’S support has slumped to a record low, with the Coalition sitting at all-time highs as Tony Abbott extends his lead as preferred prime minister over Julia Gillard. In the two-week lead-up to Sunday’s announcement of the carbon tax details, Labor’s primary vote fell three percentage points to a record low of 27 per cent, while the Coalition’s support rose three points to 49 per cent for its highest primary vote since the Howard government in October 2001. Even with a steady Greens vote of 12 per cent favouring Labor on preferences, the Coalition recorded its highest two-party-preferred vote of 58 per cent and the ALP its lowest of 42 per cent based on preference flows at the August election last year. The Coalition’s two-party-preferred vote is the second biggest in Newspoll history, with the previous record of 63 per cent to 37 per cent set by Kevin Rudd’s Labor government during its honeymoon period in early 2008 over the Brendan Nelson-led Coalition. dodged a question about her duty to seek an electoral mandate first before imposing this huge, risky and controversial tax. dodged again a question on how her tax would affect the climate, and whether the effect was so small as to not be worth the effort. got picked up even by warmist Tony Jones on her deceit at pretending China was cutting its emissions, when it is actually replacing small coal-fired power stations with huge ones, sending total emissions soaring. was appealed to by a believer who captured the conceit of both of them by begging Gillard to use “simple” language so her “dear old mum” could be persuaded. repeatedly used the deceit of calling carbon dioxide “pollution” without once being corrected by Jones. twice dodges an invitation to debate Tony Abbott on the science of global warming. again falsely claimed Margaret Thatcher backed what she was doing. 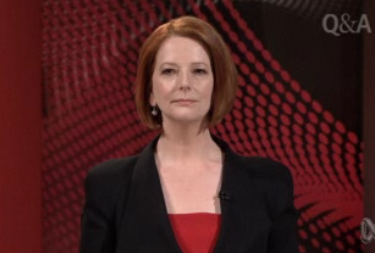 Gillard also claims there’s not enough respect for “the scientists”. Like this one? The Lowy Institute’s annual poll asked about 1,000 people for their opinions on a range of topics, including climate change and the war in Afghanistan.